Vous pouvez également utiliser 4400 Kobo Super Points pour l'obtenir ! 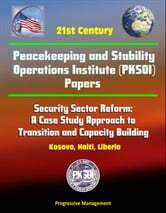 Security sector reform (SSR)-defined here as activities undertaken by a nation and its partners to improve the way it provides safety, security, and justice to its citizens — has emerged since the end of the Cold War as an important tool for stabilizing and reconstructing post-conflict countries. It is a particularly important tool in the context of failing or failed states, offering a means of arresting the failure process in the first instance and supporting failed state recovery in the second. The U.S. Government endorses the concept of SSR as a component of stabilization and reconstruction with the devotion of an entire chapter to the subject in the new (October 2008) U.S. Army Field Manual 3-07, Stability Operations. In this paper, the authors explore the definition of SSR as it has emerged in the international community, including the United States, its bilateral partners, and various intergovernmental organizations. It examines the makeup of the security sector, identifies emergent principles for implementing SSR in the community of practice, and specifies the outcomes that SSR is designed to produce. 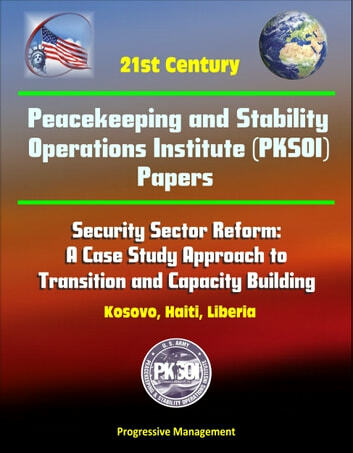 The supporting case studies of Haiti, Liberia, and Kosovo assess the impact of SSR programs on host nation security sectors. The authors conclude that those conducting SSR programs must understand and continually revisit the policy goals of SSR programs in order to develop concepts that support a transitional process that moves forward over time. Intermediate objectives are required in support of this transition that can also articulate what is good enough and fair enough at various stages in the transformational process. State actors must acknowledge and often accommodate nonstate security actors more effectively in SSR planning and implementation, while recognizing both the advantages and the risks of collaborating with such actors. The authors also identify a need for rebalancing resources committed to SSR, especially given that justice and civil law enforcement typically are badly under-resourced as elements of SSR programs. Finally, the authors note the need for more flexible and better integrated funding processes to support SSR activities within the U.S. Government. The Peacekeeping and Stability Operations Institute is pleased to offer this monograph as part of the ongoing debate on global and regional stability and security.